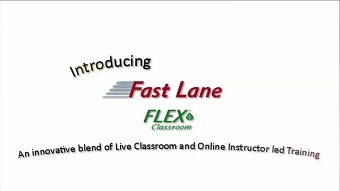 Fast Lane created the FLEX classes to provide a high-quality training option for those that aren’t able to attend our instructor led sessions in person, taking you direct into a live classroom environment via our interactive on-line FLEX delivery platform. With our reliable and robust training schedule you are able to select from a number of our leading technology vendors including Cisco, NetApp and many more. Feel free to contact us at +32 2 609 0093 or info@flane.be. We'd be happy to assist!